Finding your car’s true pollution would have been nearly impossible as recently as a few months ago. 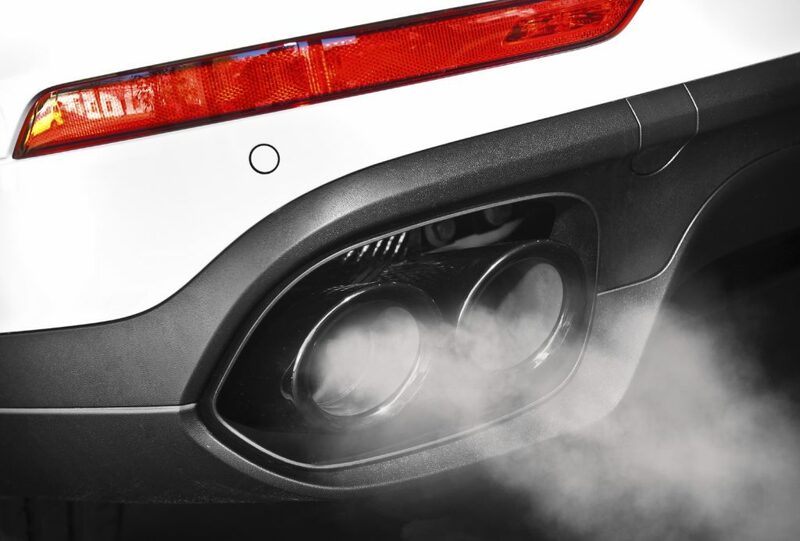 But now you can discover the true emissions – harmful and otherwise – pumped out of its exhaust pipe. It’s courtesy of a company called Emissions Analytics which tests cars’ real-world performance for emissions and economy. By measuring their miles per gallon and pollution output on the road, rather than in a lab like the official figures do, Emissions Analytics can build up a picture of how cars really perform. Just as you’ve probably found out for yourself that your car’s real-life economy differs from that claimed by its manufacturer, so its carbon dioxide (CO2) output is different too. Now, as well as your car’s true output of nitrogen oxide , you can find its real carbon dioxide output, as well as its genuine miles per gallon in every day motoring. Which were the worst cars for real CO2? Bottom of the list for the difference between claimed and real CO2 was the Skoda Octavia Greenline. Its real-world carbon dioxide output of 123g/km was up half as much again on the claimed 82g/km. Next was the Peugeot 308 1.6 turbodiesel. Its claimed figure was again 82g/km. But in reality its output was 121g/km, a 48 per cent disparity. The cars with the worst real world CO2 output were the Toyota Yaris hybrid and Suzuki Celerio, both on 130g/km. Their claimed CO2s were 105g/km and 95g/km respectively. Which were the best cars for real CO2? Even the cars that come out top in this survey struggle to match their official carbon dioxide output rating. In fact they exceed it by around a fifth. The car closest to its claimed emissions was the Mazda3. But on 125g/km it was still 17 per cent higher than the claimed figure. It was followed by the Dacia Sandero and Mazda CX-3 which had emissions 18 and 21 per cent higher than claimed. The best real-world CO2 emissions – and the only cars to get below 120g/km – were the Ford Focus and MINI Cooper D. They both recorded 119g/km. What about real-world fuel economy? The economy results echoed the cars’ CO2 emissions. So the Skoda Octavia Greenline had the biggest disparity between real and claimed mpg. It was followed by the Peugeot 308 1.6, Skoda Fabia and Vauxhall Corsa. The best cars were the Mazda3 and CX-3 and Dacia Sandero. We took the Emissions Analytics research and turned the difference between real and claimed CO2 outputs into a proportion of the claimed figure. The results were startling. Perhaps inevitably, some of the worst cars for carbon dioxide emissions were those cars that their makers made impressive claims for. The cars on the list provided by Emissions Analytics were all vehicles with low ‘official’ consumption and emissions. The figures confirm that the official tests for economy and emissions are meaningless. If you want to find out how good or bad your car’s CO2 emissions are, you need to find an online resource such as Emissions Analytics. What the official figures do offer is a basic yardstick to compare the emissions and economy of different models. But it isn’t a particularly accurate gauge. They all tell lies, just like the government. How do these manufacturers get away with it?surely it’sfraud! When will the government and the general motoring public waken up to the benefits of using LPG? It is basically a waste product of the petroleum industry and is cleaner and cheaper than the currently used fuels. I have been running my Saab on Autogas for the last 3 years and the only snag is the paucity of LPG outlets.If there were more demand for this fuel the pumps would soon be installed and we could all be the better for it. The more people that use LPG,the more likely it is that the government will slap a large tax on it. Why is Suzuki not on this list? Maybe it’s time to change our habits and concentrate on sustainable mobility.